A jury took two hours to find Ferdinand Augello guilty of murdering April Kauffman in 2012 to prevent her from exposing a drug ring. A biker was convicted in the murder of a popular New Jersey radio host who planned to reveal an illegal drug operation between her husband and the Pagan Outlaw Motorcycle Gang. April Kauffman threatened to reveal a drug ring operated by her husband, Dr. James Kauffman, and biker Ferdinand Augello in an attempt to leverage a favorable divorce, according to the Atlantic County Prosecutor’s Office. James Kauffman tasked Augello with arranging his wife’s murder in the summer of 2011, a plot that ended a year later when April Kauffman was found dead in her home. 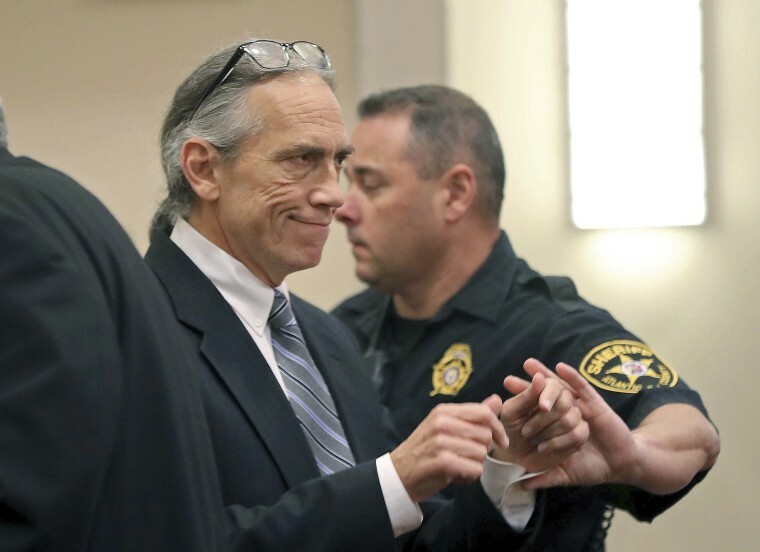 After two hours of deliberations, Augello, 62, was found guilty Tuesday on charges of murder, conspiracy to commit murder, first-degree drug racketeering, and first-degree leading a drug trafficking network. James Kauffman killed himself in jail this past January, shortly after he and Augello were arrested. James Kauffman offered free painkiller prescriptions to anyone Augello sent to his medical practice, usually members of the Pagan bike gang, according to authorities. Kauffman would either take a $100 payment or charge the person’s medical insurance for each visit. Those who took the prescriptions would use the pills or sell them illegally, while Augello received a cash payment of $1,000. Augello propositioned a number of Pagans, former Pagans or associated with the Pagans to kill April, unsuccessfully, for about a year. Francis Mulholland, one of the members of the men’s drug empire, eventually agreed to commit the murder. Mulholland was given a gun and driven to the Kauffman’s Linwood home, where the doors were left open, and shot April twice on May 10, 2012. Mulholland, who died in 2013 of a heroin overdose, had been paid $20,000 for his part in the murder. Prosecutors leaned on key witness testimony from Andrew "Chef" Glick, 52, the former president of the Pagan's Cape May County chapter. Glick told the Toronto Star this past March he was cooperating with prosecutors as a part of a deal to avoid a possible 40 years in prison on unrelated drug and weapon charges.